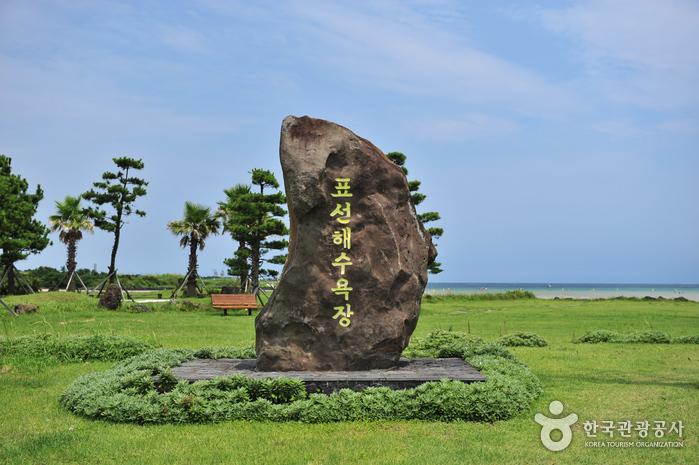 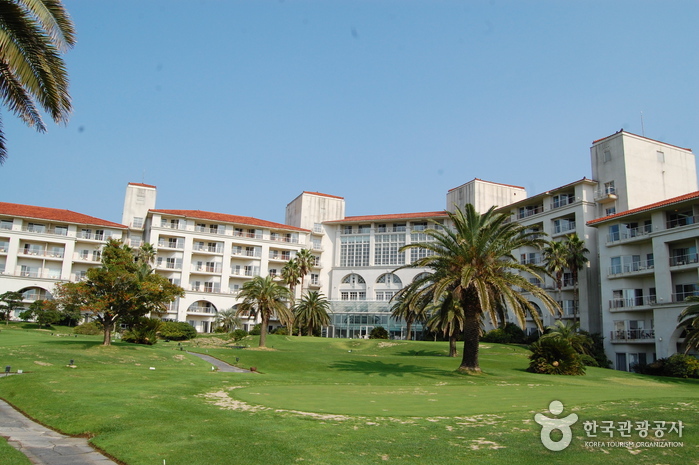 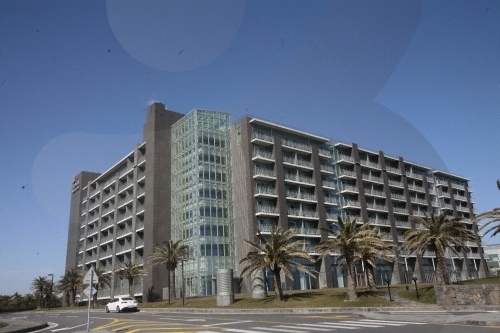 Seogwipo City's Pyoseon Beach is quite a large beach, taking up more than 150,000 m². 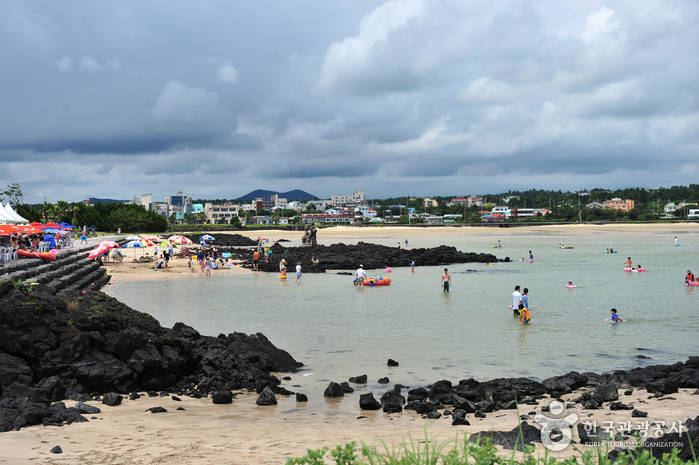 During low tide, the beach looks like an elegant circle, and it becomes a circular lake less than 1 meter deep during high tide, and displays many different colors. 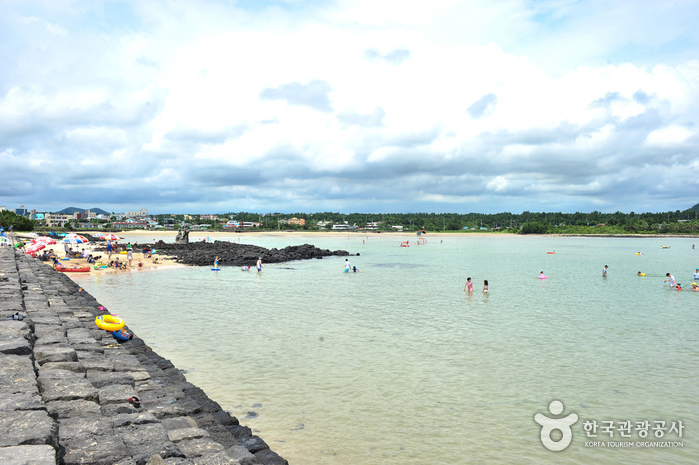 The beach is a great place for children to play and for watching the sunrise. 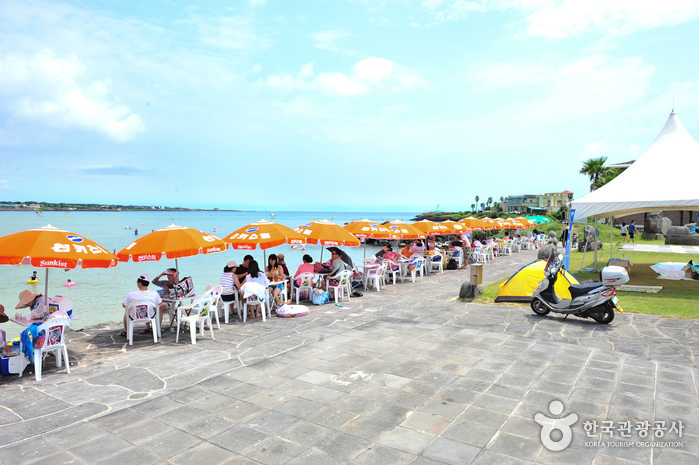 The sand on the beach is formed out of broken shells, and sand baths are believed to be effective for people suffering from neuralgia. 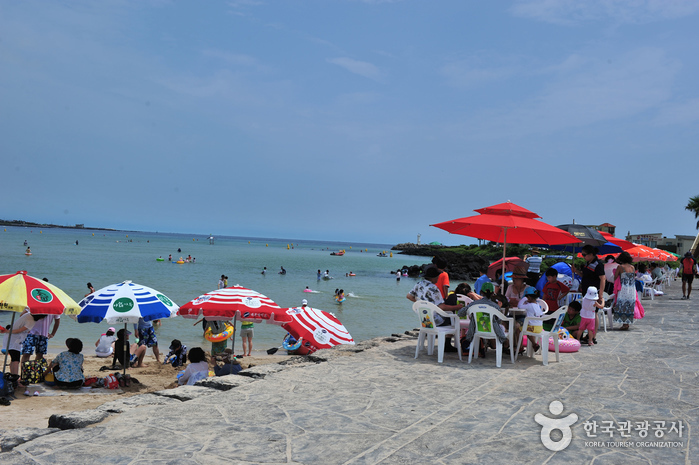 Every August, this beautiful beach hosts the Pyoseon White Sand Festival, which offers fun and colorful events. 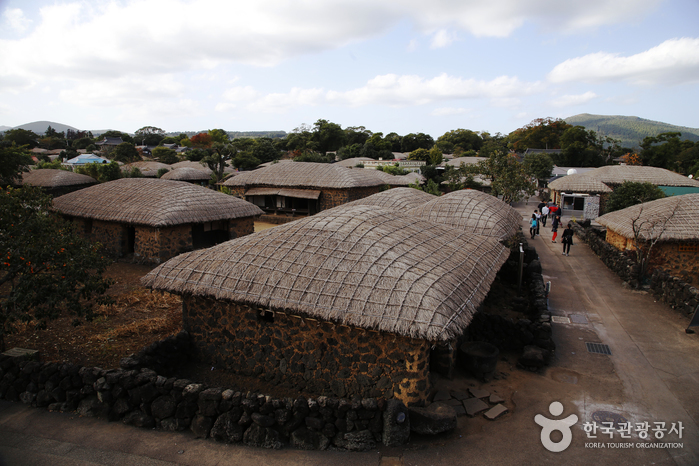 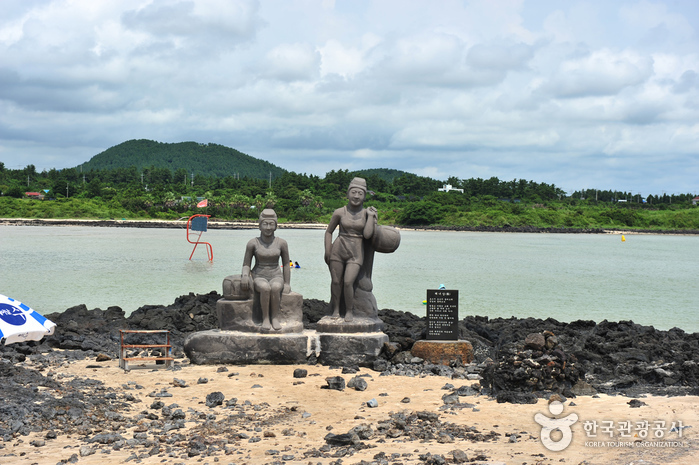 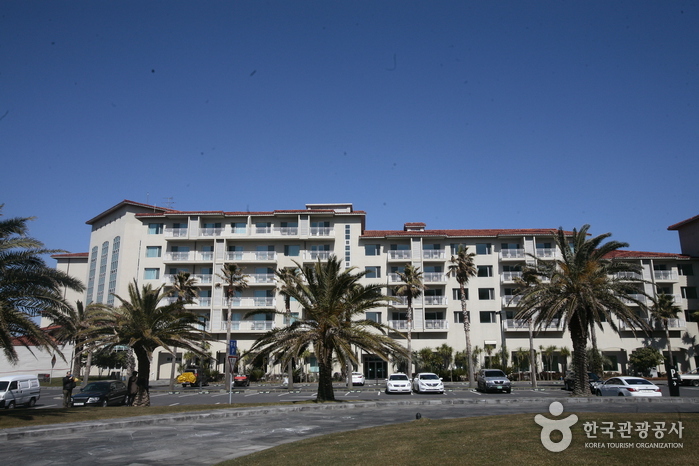 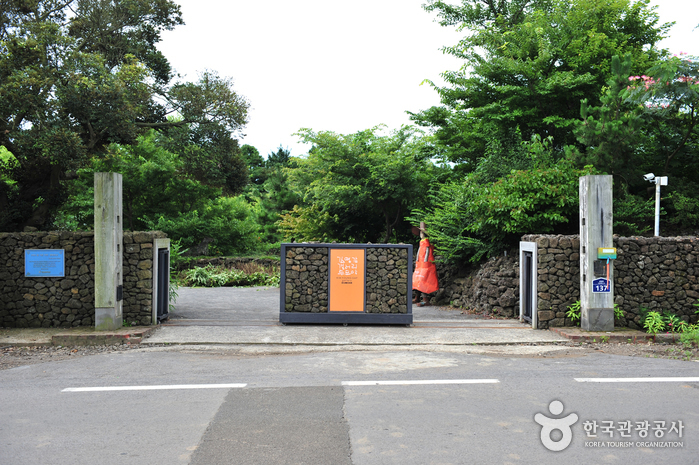 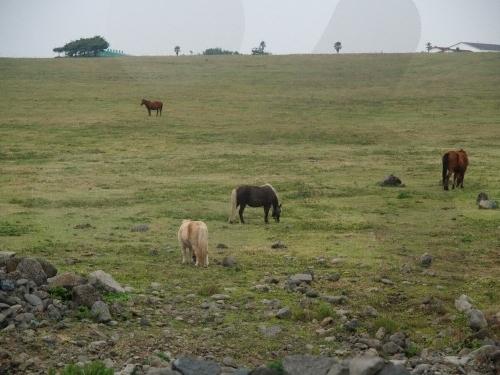 The beach is equipped with excellent amenities (a campground, abundant parking space, dressing rooms and shower rooms) and surrounded by nearby attractions, such as Seongeup Folk Village and Jeju Folk Village Museum. 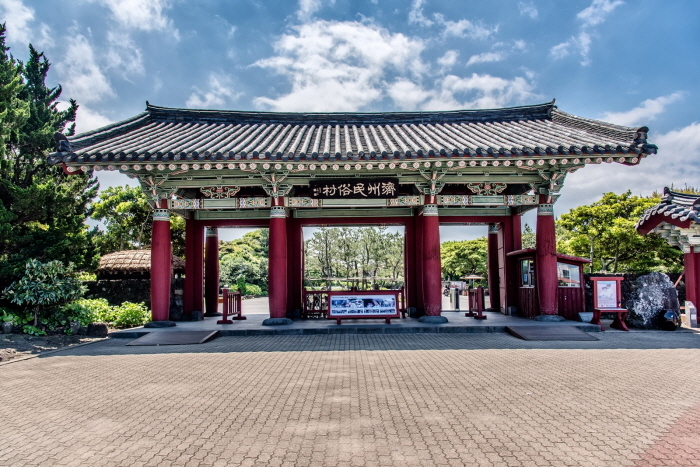 Shower booth, parasol, park, snack bar, etc. 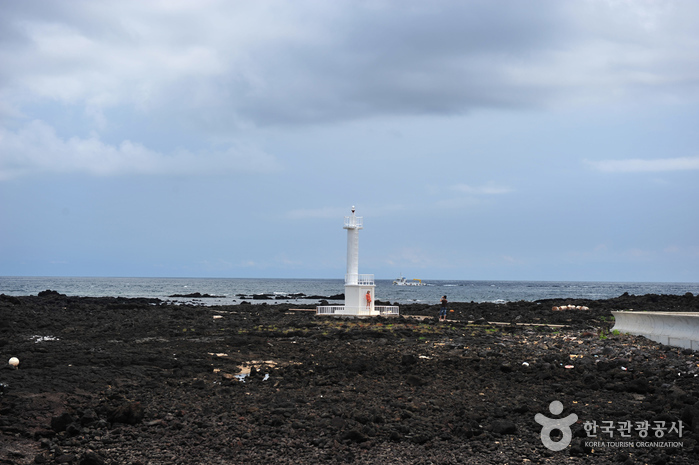 Take the bus towards Pyoseon from Jeju Bus Terminal.